Australian Mining projects and investments delayed. Australian Mining and energy projects invested in the past year and worth an estimated A$150bn ($147bn) have reportedly been delayed and might possibly get cancelled as commodity prices drop and investments peaked. According to report from the Bureau of Resources and Energy Economics, approximately 14 projects are being developed as of April 30th.The projects that were being developed are worth A$267.6bn compared to a record of A$268.4bn in Oct 31. This month resource-sector investment is near its peak and expected to stay at a high level till at least next year according to the Reserve Bank of Australia. The World largest mining company BHP Billiton is targeting an 18% cut in the capital spending in fiscal 2014 to about 18million to boost returns from the investments. “The downward shift in China’s economic growth rate combined with the decline in the commodity intensity of growth have a permanent and profound impact on global markets,” Citigroup said in their May 20 report. 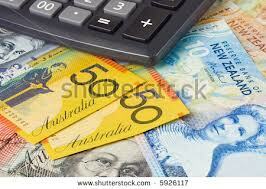 Australia Forex Brokers: Australian Mining projects and investments delayed.